Advanced Care Specialists always appreciates feedback from our valued patients. To date, we’re thrilled to have collected 10 reviews with an average rating of 5 out of 5 stars. Please read what others are saying about Advanced Care Specialists below, and as always, we would love to collect your feedback. From the first visit and every visit after, I have been impressed. The staff is friendly and knowledgeable. I leave smiling every time. I recently moved back to Wisconsin and was in need of chiropractic care. My sister recommended ACS. 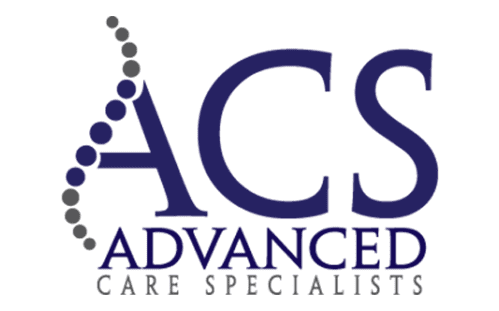 Dr. Kampfer and the entire ACS staff are friendly, efficient, and knowledgeable. I have received excellent care there and would highly recommend them! I was injured at work on Feb of this year and was very disatisfied with the clinic/hospital in Marshfield Wi, close to my home so I traveled 4.5 hours to see the Drs @ ACS. I was very pleased with all the staff treating me as a injured person not just a number. The staff is kind considerate and very knowledgeable. I was injured at work and directed to a surgery by a Dr. My aunt told me about a place that is VERY helpful. I am very glad to be a patient at this location. Everyone is helpful, nice, as well as informative. They help with all questions or concerns. Though I am a nervous wreck my situation is very new on all levels I do feel comfortable here. I would reccomend these guys as well as this facility to ANYONE! I am very appreciative of my progress. I've been very impressed about the professionalism of all the staff. This combined with the friendliness of all has made my experience there a very pleasant one. Detailed informative evaluation of your injury. Medical devices provided for continuous treatment at home. The best federal work injury provider. You can always expect the highest quality of care and commitment at ACS. Dr. Jonathan Saigh will guide you on your path to wellness and pain reduction utilizing his advanced skills and training in the multitude of modalities available to him in his rehabilitation and chiropractic care practice. Dr. Saigh will go above and beyond any other health care provider you have ever had to insure you get not only outstanding treatment but the right treatment for your injuries. All of the doctors and staff at ACS go to great lengths at every visit to make sure you are comfortable and understand how and why you are doing each exercise and or treatment. You never feel abandoned or left on your own during your visit. The staff is always prepared and ready for me and know me by name and what my plan is for every visit. If I had to drive 50 miles for PT with these folks I would do it. ACS will treat you with respect and will help you with any of your Workman's Comp paperwork or forms for your employer or attorney if you have one. It is a great place , I would and did recommend ACS to people and coworkers who need help. They are there to make sure you leave 100% and in better shape. The Staff is awesome and really care about people. This place has done more for me than my own doctor and union combined! Everyone here works as a team, very thorough in finding out what's wrong, what to do, and provide a variety of treatments you wouldn't see anywhere else.